The long wait is over as Filipino basketball fans can catch another new season of the NBA. After the Golden State Warriors won back-toback titles thru a series sweep versus the Cavaliers last June. The excitement and anticipation for the next season happened a few weeks after as talented rookies were drafted, players switched teams thru trades & marquee players signed with teams via free agency. As new storylines surround the NBA heading to the new season, Solar Entertainment channels BTV & NBA Premium TV will make sure you’ll never miss the play by play action – 24 hours a day and 7 days a week from October to June. 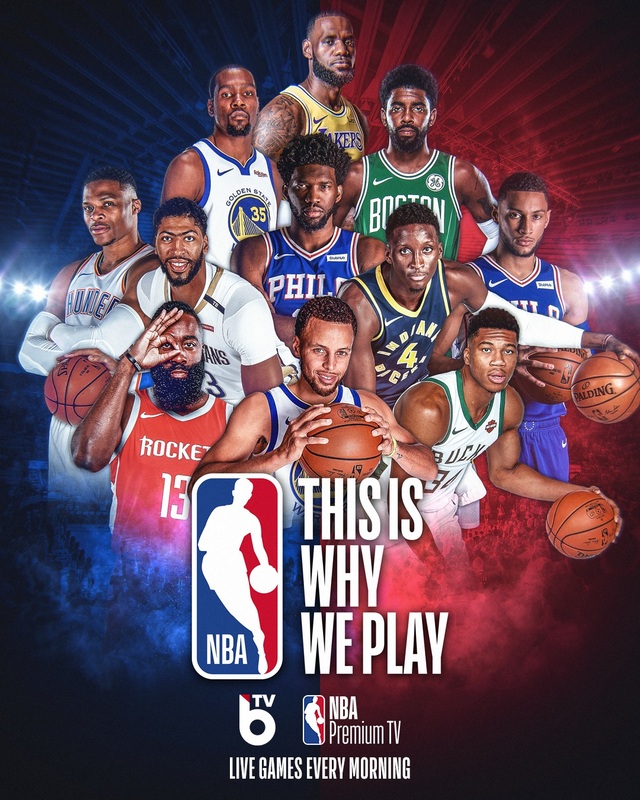 As the long time TV partner of the NBA in the Philippines, Solar thru its channels Basketball TV (BTV) & NBA Premium TV again guarantees the most comprehensive coverage by broadcasting the most number of games combined with daily magazine shows & other NBA specials that are exclusive on both channels. Starting last October, BTV & NBA Premium TV airs live games every morning and for those who missed the morning broadcast primetime replays of the games are also available daily. From Regular season to the Finals, around 600 games will be aired combined on both channels. Basketball TV viewers will enjoy at least 1 LIVE game every day, with primetime replay at 8PM. 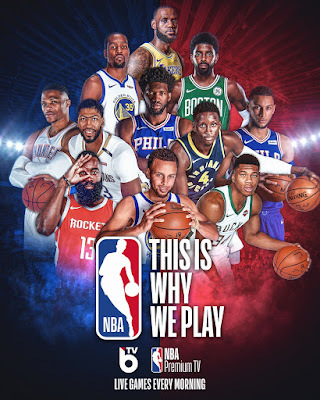 Games aired on BTV will be complemented by NBA magazine shows—NBA Action, NBA Inside Stuff, NBA Gametime, The Starters, Inside the NBA and NBA Open Court. Thru these programs, NBA fans will be updated with every news and updates surrounding the association. Aside from the NBA programming, BTV also specializes in locally produced on air and digital segments that are updated weekly consisting of events, highlights, insights, and program updates. NBA Premium TV is the 1st ever HD sports channel in the Philippines that is custom-made for the true NBA fan. NBA Premium offers at least 2 LIVE games every day and can go to a maximum of 4 games. With NBA Premium TV, NBA Fans will get an overdose of NBA Action in Full High Definition everyday. No cable subscription & looking for an alternative to have both channels? Purchase Easy TV now and watch Live NBA games all season long. Basketball TV is seen on Ch. 13 and NBA Premium TV on Ch.14 on Easy TV. Visit www.easytv.ph or contact 817-7000 for more details, Mag Level Up Ka Na! *Service only available in Metro Manila. Basketball TV is seen on Cignal Ch. 95, GSAT Ch. 36, and Cablelink Ch. 60. Follow Basketball TV via www.facebook.com/BasketballTV, Twitter and Instagram @BTVHoops. NBA Premium TV is seen on Cignal SD Ch. 96 and HD Ch. 262, and Cablelink HD Ch. 350. Contact your local provider now to subscribe to Basketball TV and NBA Premium TV and never miss an action throughout the whole NBA season from October – June. Solar Entertainment Corporation is the largest content provider and channel operator in Southeast Asia. It is committed to elevating the network to a global standard and maintaining Solar as a leader and innovator in the industry. Until today, Solar continues to widen its programming to meet the demands of emerging audiences. For more details, log on to http://solarentertainmentcorp.com/. Custom-made for the Filipino hoop junkie, BTV is the only cable channel dedicated to covering world-class and local basketball. It serves to satisfy the unwavering passion of the Filipino basketball fan by consistently delivering comprehensive coverage of live games, magazine and lifestyle shows and locally produced executions. Basketball TV is your ticket to the world of hoops and slams. BTV – More Than a Game.